Ground-level ozone smog (smog) and fine particulate matter (soot) pollution irritate the airways and can cause breathing problems for anyone, but especially for people living with lung disease. The Illinois Environmental Protection Agency (IEPA) monitors air pollution and issues warnings on days when air pollution is expected to rise to levels deemed unhealthy for sensitive groups. When air quality is predicted to be unhealthy for sensitive groups several days in a row, IEPA may announce those days as Air Pollution Action Days. How are Air Pollution Action Days Determined? A number of factors influence air quality, including emissions and weather. Working with the U.S. Environmental Protection Agency, the IEPA monitors air pollution and uses a color-coded system to share the daily air quality. 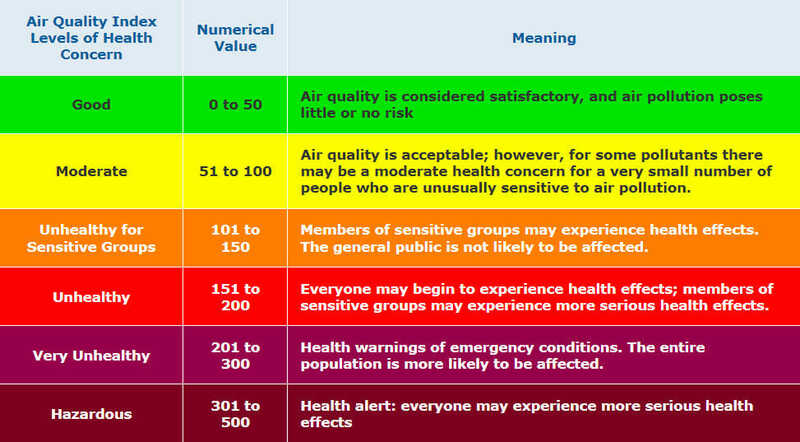 An AQI value of 100 generally corresponds to the national air quality standard. When air pollution is deemed “unhealthy” (a value of 101 or higher) several days in a row, the EPA calls Air Pollution Action Days, or APADs, to alert people to take precautions. APADs are common on hot, sunny days with little wind, because on these days air pollution stays concentrated and closer to the ground. What should I do for my health on Air Pollution Action Days? 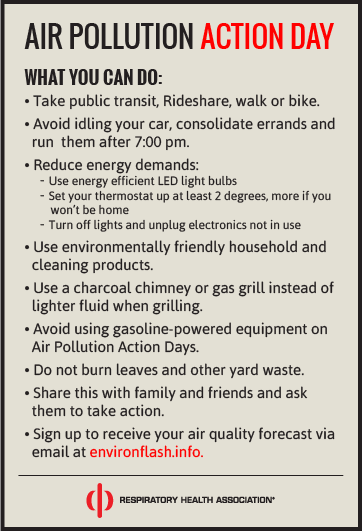 It is important for everyone to limit their polluting activities on days with unhealthy air quality. Your choices can help reduce air pollution in your community. What can I do for better air quality on Air Pollution Action Days?